Nutritionist Consultations: Transform Your Health,Transform Your Life! Why, you ask, would anyone need nutritionist consultations? After all, the different governments around the world provide resources like the USA’s MyPlate (the successor to MyPyramid) or Canada’s Food Guide for nutrition guidance for everyone. And magazines and news sites constantly have articles about health-related issues and how celebrities solved their weight problems. Isn’t that enough? The short answer is “No.” The long answer encompasses everything Chrysalis Nutrition and Health’s nutrition therapy nutritionist consultations can do for you: In short, Transform Your Health, Transform Your Life! Hello, I'm Jo Panyko, probiotics, microbiome and nutrition educator; consultant; speaker; author of books on probiotics; and founder of this PowerOfProbiotics.com online resource. You can read more about me on the "About Me" page, but this page is about YOU. Why Do You Need Nutrition Therapy? Changing habits and cravings that contribute to your current state of health require more than just general guidelines or a printed menu sheet! It took time for you to evolve into your current state and it will take time, diligence, and support to transform into a healthier state. But just as a beautiful butterfly, which was once a caterpillar, emerges transformed from a chrysalis (pronounced 'kri-sa-lis), so too can you transform your life by transforming your health! Nutritionist consultations through Chrysalis Nutrition and Health, my nutrition therapy practice, can help with your transformation because one-size-does-NOT fit all! An eating-and-lifestyle plan that is right for your friend, family member, co-worker or favorite celebrity may not be appropriate for you. NOTE: Nutritionist consultations are not intended as diagnosis, treatment, prescription or cure for any physical or mental disease, nor are they intended as a substitute for regular medical care. I have had many of these challenges myself, so not only do I apply my education, continuing education and experience with nutrition clients, but I also can draw from my own experiences. I have been there, done that, for many health circumstances and I have the knowledge and passion to help others succeed, too. What Can a Nutritionist Like Me Do For You? Unlike experiences you might have had with other healthcare practitioners, my Chrysalis Nutrition and Health nutrition practice is not run like a revolving door. Sessions with me are personalized and affordable. One-on-one nutritionist consultations using nutrition therapy consider your physical, emotional, mental and social aspects so you can experience success! Am a Master Nutrition Therapist graduate of the well-respected Nutrition Therapy Institute in Denver, Colorado and hold a BS in engineering. Utilize a state-of-the-art, FDA-registered bioimpedance analysis device for accurate monitoring of body composition (lean muscle, fat, hydration) when relevant to your care. For in-person consults only. Individualized Consultations are in person, via Skype, via phone, and/or via e-mail. Economical multiple-session packages with concurrent e-mail support for comprehensive care to address all of your health concerns are available. Group Seminars may be arranged. Grocery Store Guidance (in-person only) is an option. Food Pantry Makeover (in-person only) is an option. Educational Classes for Individuals are available. Targeted, multi-line, professional-grade nutritional supplements are available for purchase through a special client portal. From Lauren: "Jo has been instrumental in helping me address my digestive issues – I am pleased to write a testimonial for her. Even though I thought I had a healthy approach to eating, I had ongoing issues with digesting my food and seemed to always have either gas, bloating or loose stools. So much so that I thought it was my new normal as a menopausal woman. 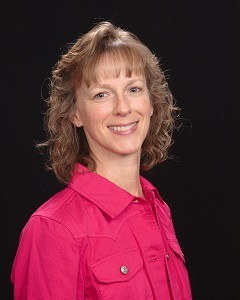 Jo analyzed my diet, my concerns and allergy test results and put me on a program to heal my gut and regain my health. So far it’s working – I feel much better, have more energy and am finally enjoying food again." From Josh: "I have always been into fitness and sports and considered myself healthy; and compared to most people, I am. What I did not realize prior to meeting with Jo is just how important diet and nutrition is. I was being held back and I knew I needed to make a change. After meeting with Jo over the course of several months, my life has been changed and I am at an all-time high in my health. Muscles are growing, fat is shrinking, sleep is improving, and much more. The detail, focus, and effort that Jo put into helping me succeed is unparalleled. She ran tests, made me do homework. She then took my information, did thorough research, and then gave me excellent advice based on ME; not just generalities to be "good enough." If you are looking to make an actual change in your health, start with Jo. The funny thing is, Jo was so thorough and helpful that I honestly haven't needed to go back. However, because it was so affordable and helpful, I intend to go back and check for any new information and advice in the future. Last but not least, I would consider Jo a friend, not some random consultant. That friendship is the "secret-sauce" that makes change successful..."
Ready for More Information About Nutritionist Consultations with Me? NOTE: Please WHITELIST the email address service@powerofprobiotics.com in your email account. The easiest way to do this is to add this email address to your list of contacts. Otherwise, depending on your email provider, my reply may be sent to your junk file. I answer every email, so if you don't see a reply from me within a week or so, check your junk or promo folders.